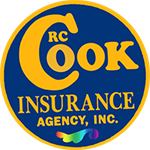 To find the best deals on power sports insurance in Ravenna, OH, visit RC Cook Insurance or call us for more information about power sports insurance at 330-296-3628. Do you feel totally confident that you and your sports vehicle are covered when you are out riding? Without a great ATV insurance policy in Ravenna, chances are you are leaving a lot to risk. Ravenna ATV insurance is specifically designed for you so you can enjoy your ATV or snowmobile without worries about the risks you are taking. A great Ravenna Sport Utility Vehicles insurance policy covers both your vehicle and gives you enhanced medical coverage for any accidents. When you are away from home, you need a policy that can protect your power vehicle from theft and fire--this is coverage only available with specific ATV insurance. You may feel that your Ravenna ATV is covered by your homeowners insurance policy. Generally, these policies will not cover your ATV or snowmobile if it's in a trailer or garaged away from your home or just setting in your garage. ATV insurance in Ravenna is available to recreational users of Sport Utility Vehicles such as ATV's, motorcycles, dirt bikes, snowmobiles or watercraft. It offers comprehensive vehicle coverage and enhanced medical coverage suited to your needs. You can get a no-risk quote right away. Simply fill out the form and we'll get back to you with a surprisingly affordable quote for your Sport Utility Vehicles insurance policy. Collision covers you in the case you’re in an accident that is your fault, this insurance pays to repair your ATV, less the deductible amount. ATV accessories covers replacement or repairs on any expensive customization's and personalization's you’ve added to your ATV. Total loss insurance pays to replace your ATV—not just the fair market value, which is usually lower than what you actually paid for the ATVe—but an entirely new ride. On road insurance for off road vehicles covers your ATV on the road—we consider this essential, and very affordable.